Apple has some interesting numbers to show off for iOS 7. The Cupertino-based company has updated its iOS adoption numbers and iOS 7 – the newest iteration of the mobile operating system – is running on 78 percent iDevices now, which includes iPhones, iPads and iPod touches. The past couple of weeks have seen iOS 7 grab over 2 percent points from iOS 6. 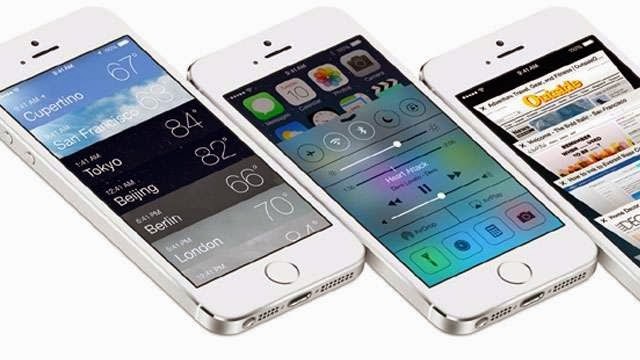 The older iOS version saw its share numbers falling from 20 percent to 18 percent. Even earlier versions of iOS are occupying barely 4 percent of the pie-share and have remained unchanged over the past two weeks. So far, it looks like Apple is doing a great job with increasing iOS 7 adoption amongst Apple users. The update to the iOS versions was posted to the App Store Distribution page on Apple yesterday, with the seven day period during which statistics are measured by the App Store, ending on December 30. It must be mentioned that iOS 7 has managed to score so well within three months of its release alone. This two percent jump seen by iOS 7 can be attributed to the spike in sale of iOS products sold during the late Thanksgiving and Christmas holidays. The new devices which were given and received over the Holiday month came pre-installed with iOS 7, and their activations and visits to the App Stores clocked in these numbers. iOS 7 is said to be gaining users at the rate of approximately one percent each week. iOS 6’s share is expected to plunge further in the coming weeks as more devices are updated and newer ones are sold.